Yay for a fabulous printable cake hack for the non-professional cake decorators among us! Thanks to Ashley at the Let’s Mingle blog for this clever bat cake Halloween party printable that I’ll be hanging onto for birthdays, too. Isn’t it just perfect? All you need to do is bake and ice. Or uh…buy one already baked and iced. No judgments. 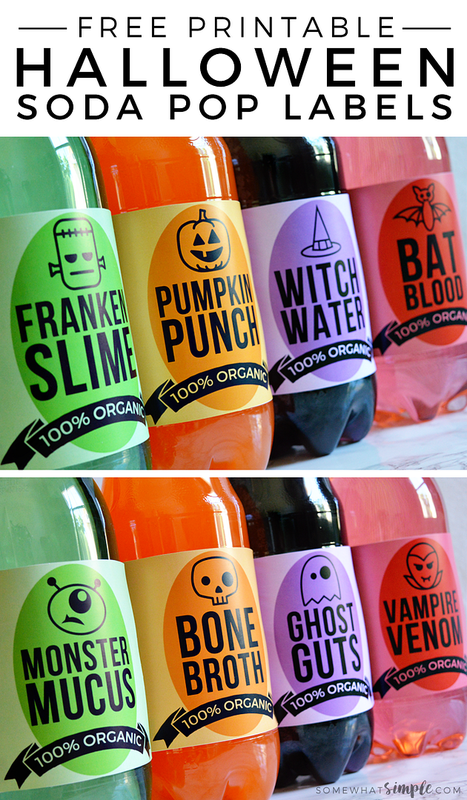 It’s cracking us up that these Halloween Soda Labels Free Printable at Somewhat Simple are all labeled “100% organic.” Because we don’t accept any artificial sweeteners in our “Monster Mucus,” at this house, thank you very much. 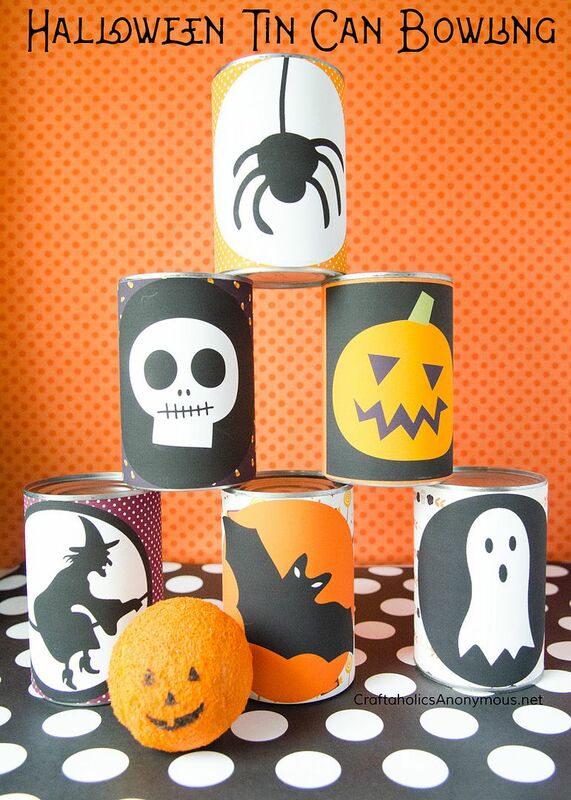 Organic or not, these fun, free Halloween party printables definitely upgrade your regular old soda, juice or lemonade bottles. If your frosted cakes look more like something from Nailed It! 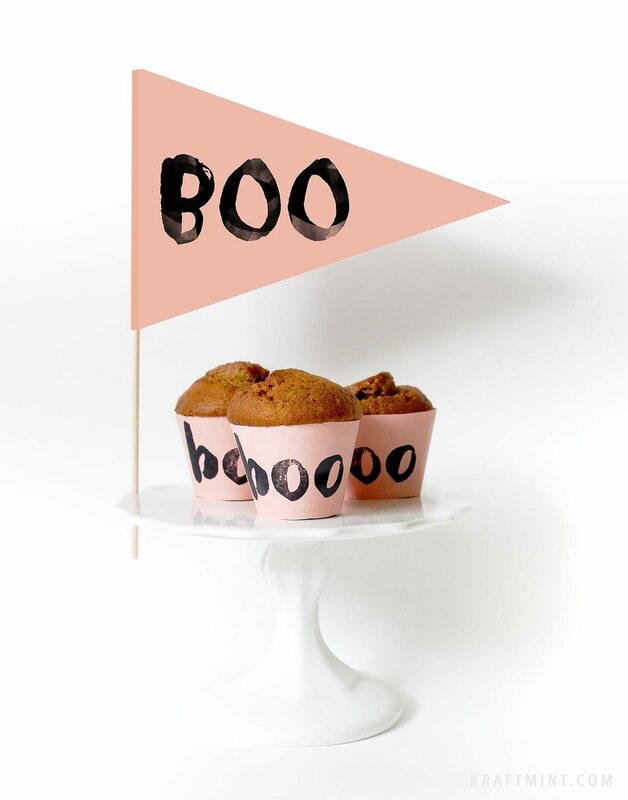 than from The Great British Bake-Off (yeah, been there), try using these fun Halloween cupcake wrapper printables from Kraft Mint. No messy food dyes, edible eyeballs or elaborate clean-up needed; it’s a fabulous hack to create cute, on-theme party cupcakes or to make store-bought feel a little more homemade. Ghost poop, witches warts, jack o’ lantern seeds, vampire vitamins…yum. Print the super clever free printable Halloween Tic Tac labels from Somewhat Simple for a really fun little treat for the kids. I think they’re just awesome. Related: 15 of the best free Halloween printables for kids. I know so many parents will be grateful to Squirrelly Minds for coming up with this thoughtful sign for trick-or-treaters with food allergies. 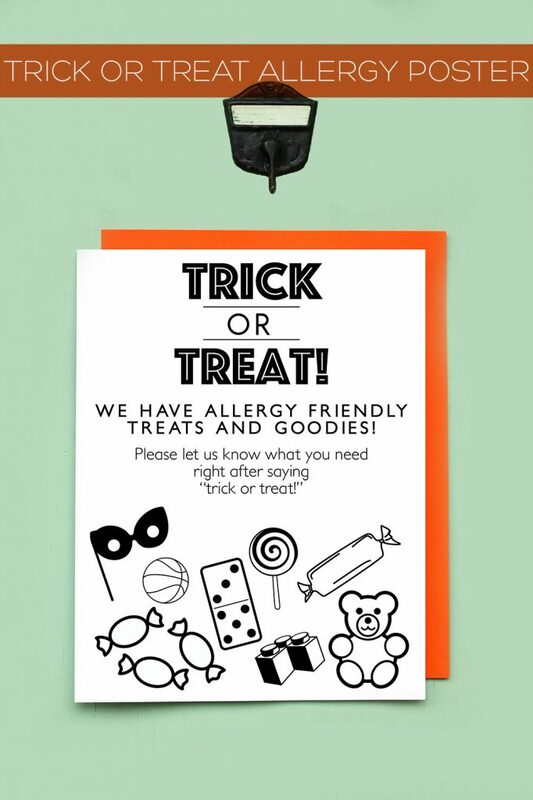 Download and hang this allergy-friendly home Halloween printable whether you’re throwing a Halloween party that involves candy (duh) or just handing out treats to the neighborhood Black Panthers and Ruth Bader Ginsburgs. 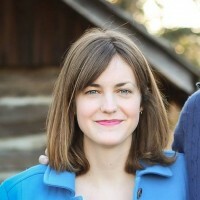 Plenty of families will really appreciate your conscientiousness and kindness. Related: 18 easy cake decorating ideas that make a store-bought cake something super special. There’s no way kids will eat all of the goodies they collect at Halloween parties — or at least, I really hope there’s no way. 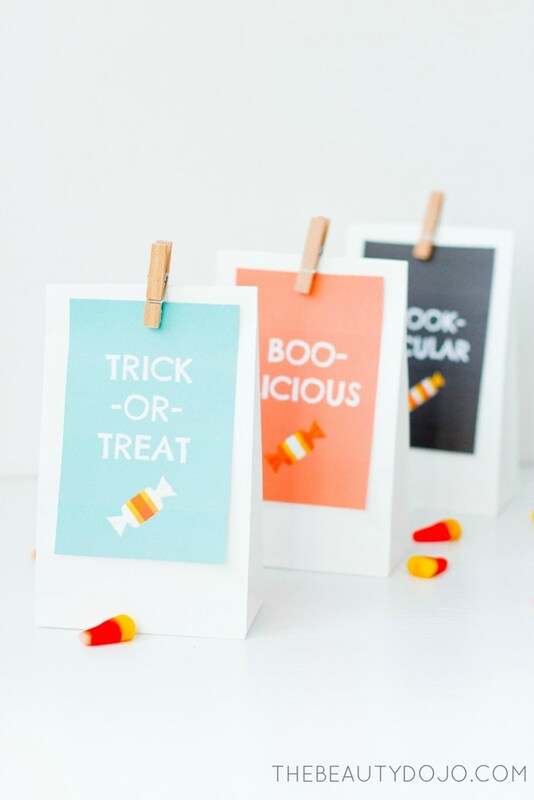 So I’m glad The Beauty Dojo has gifted us with these awesome free printable Halloween treat bags that encourage delayed gratification in the cutest way, using little more than white treat bags and some clothes pins. If you’re like some of us and haven’t visited the recycling center in a while, take heart. Because you already have exactly what you need for these awesome free Halloween party bowling game printables at Craftaholics Anonymous — just add a tennis ball for a fun carnival style Halloween party activity. And hey, no bowling shoes required! 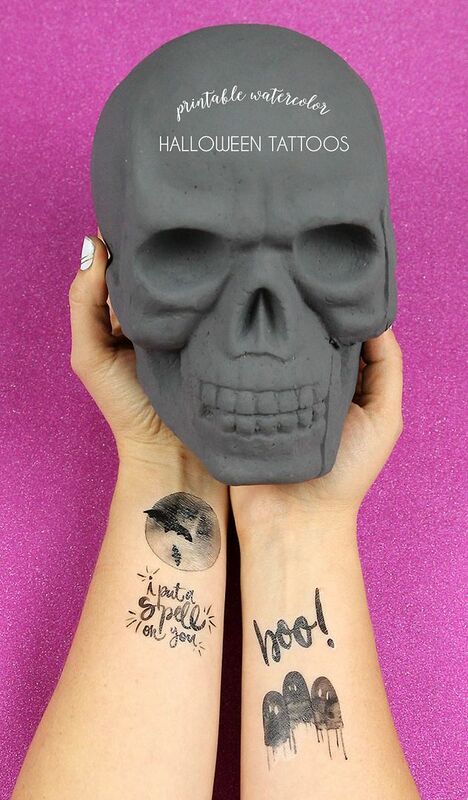 A temporary tattoo station is a terrific Halloween party activity idea, and if you’re up for it, you can DIY your own cool tattoos with these gorgeous — I mean scary — watercolor-style free printable Halloween tattoos from Persia Lou. You’ll need to get temporary tattoo paper (we found this pack from our affiliate Amazon, or check your local craft store) but we think the finished result is just perfect for kids and their grownups. 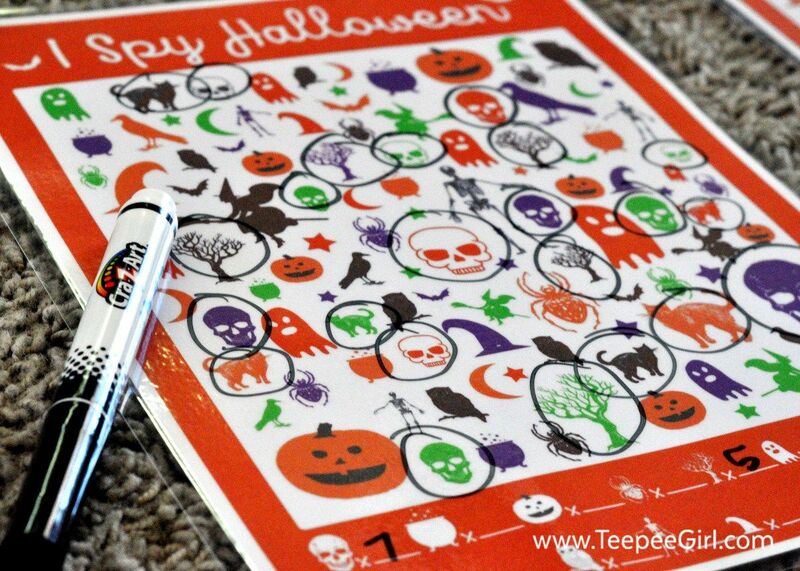 This Free printable I Spy Halloween Game from Teepee Girl helps kids develop a few different skills: counting, matching, and (hopefully) working independently for a few blessed minutes of silence. 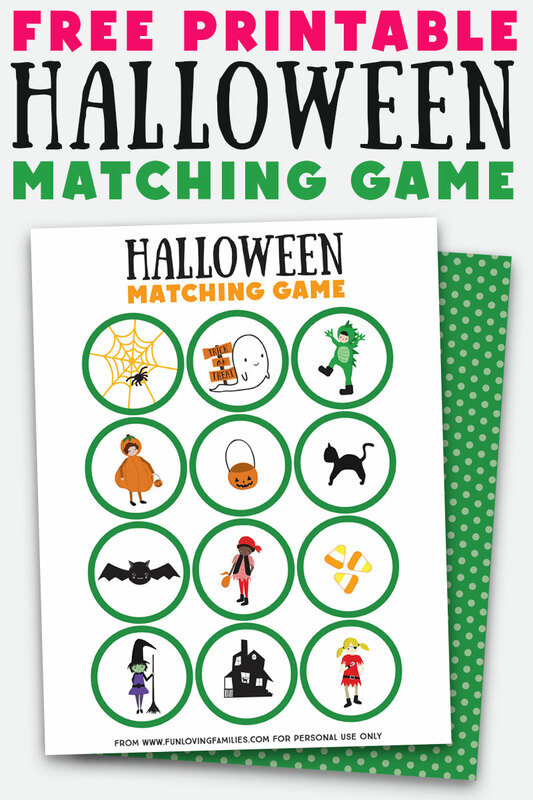 This matching game Halloween printable at Fun Loving Families is a fun way to keep younger kids entertained at a Halloween party. It could also be a great addition to non-candy Halloween treats for kids who come to your door, along with those spider rings, temporary tattoos, and mini containers of homemade slime. 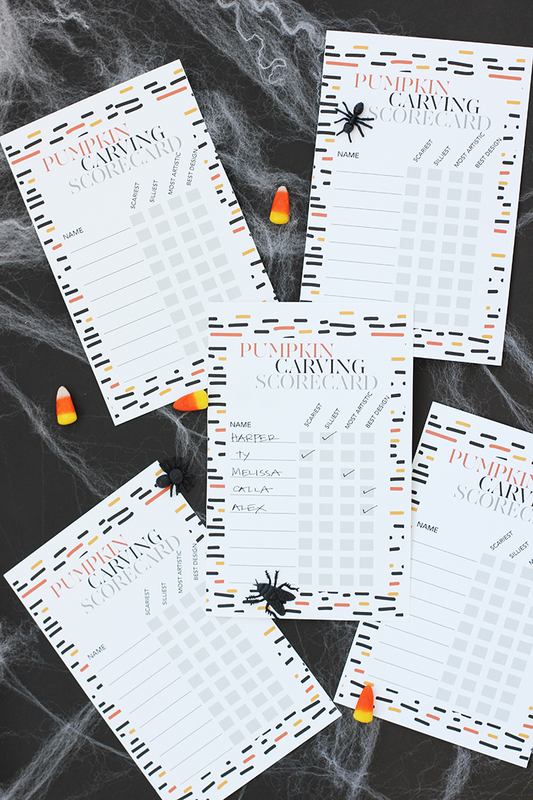 If you’re hosting a pumpkin-carving contest at your Halloween party, definitely check out this clever, free pumpkin carving scorecard printable at Alice and Lois. Its four categories guarantee every kid can be a winner at something, which is always a nice way to go. 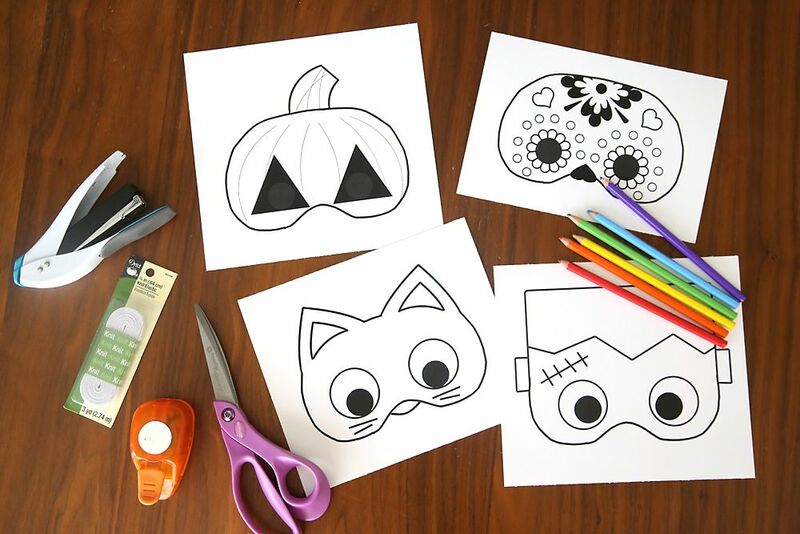 If you have younger trick-or-treaters who are better off without a ton of detail in their coloring pages, try these sweet free printable color-your-own Halloween masks from It’s Always Autumn. 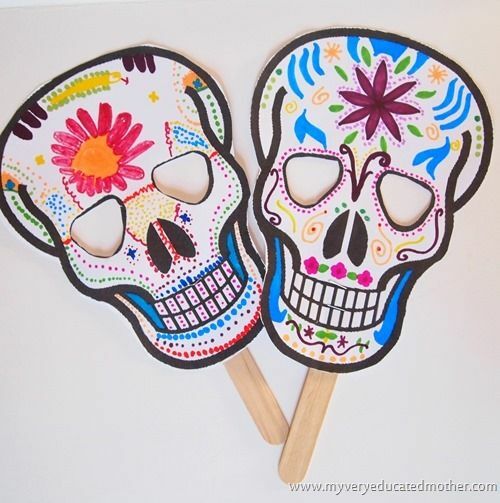 I love the simplified version of a sugar skull, plus some other Halloween favorites like kitty cats and Frankenstein — which make perfect photo booth props when the kids are done! For even more options, check out our roundup of free printable Halloween masks where you’ll find lots of cool ideas, like these free printable color-your-own Day of the Dead masks from My Very Educated Mother. Kids can go nuts making them their own, whether they’re decorating with crayons, paints or — if you dare — glitter glue. 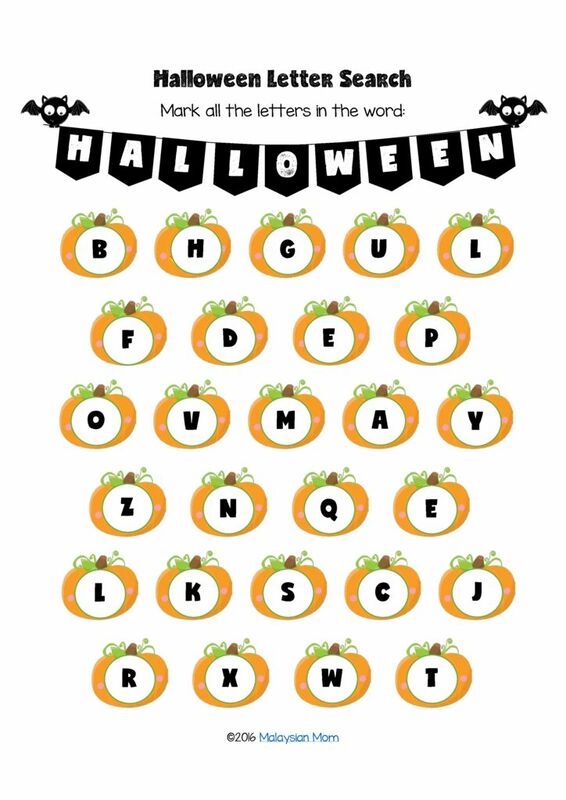 This free Halloween party letter hunt printable from Malaysian Mom is a festive way to help little kids with spelling and recognizing capitalized and lowercase letters. And hey, maybe it will buy a few minutes of quiet for the adults to enjoy some mulled wine at the party.